Anthem Blue Cross California notified agents this morning that they intend to discontinue 200 individual & family grandfathered health insurance contracts effective 2/28/18. Grandfathered plans are those health insurance plan purchased prior to 2010 and still in force. To reduce the administrative burden of maintaining multiple products/contracts, we will be discontinuing about 200 grandfathered plans/contracts, many of which only have a few members. 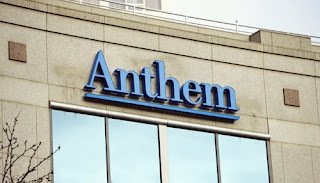 This change will impact around 14,000 members and some of these members may have other Anthem options to replace their plans. As of today, the specific products and contracts are unknown. I was told we should expect more information by mid-December. For those on grandfathered plans, be aware that Anthem is only selling individual health insurance (EPO) in areas 1, 7 and 10 (Santa Clara County, Stockton area and northern Counties). Those in other rating areas will need to change insurers and find new coverage (and move to ObamaCare). I will add an update once specific affected plans are disclosed by Anthem.